Want to get a peek inside this month's digital magazine with a fun sample project? Click HERE for a Sneak Peek! But they just want to have fun. YOU WANT YOUR KIDS TO LOVE LEARNING, BUT MORE OFTEN THAN NOT YOU HEAR - I’M BORED! STEAM stands for science, technology, engineering, art, and math. And kids love it. STEAM challenges kids to explore things they're passionate about. 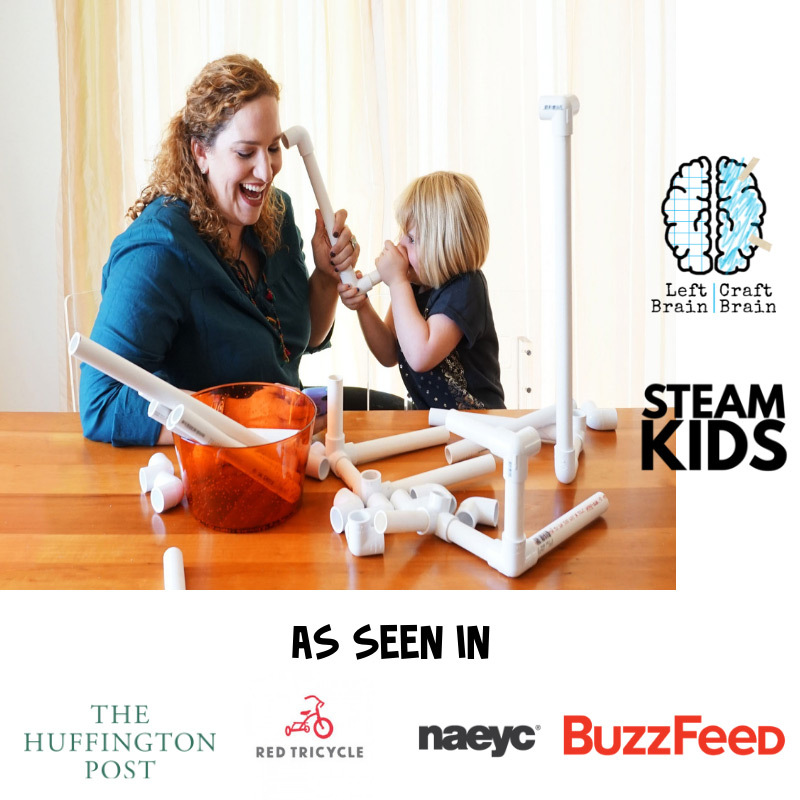 STEAM helps kids learn to think creatively and solve problems. STEAM makes everyday core skills more sticky. STEAM helps kids learn while they're having fun. And hands-on learning YOU'll Love. Watch the video to get an inside look at STEAM Explorers. the kids can do on their own. Includes a kid-safe online project portal, too! Science, Technology, Engineering, Art & Math. It’s an integrated approach to learning that encourages students to think more broadly about real-world problems. 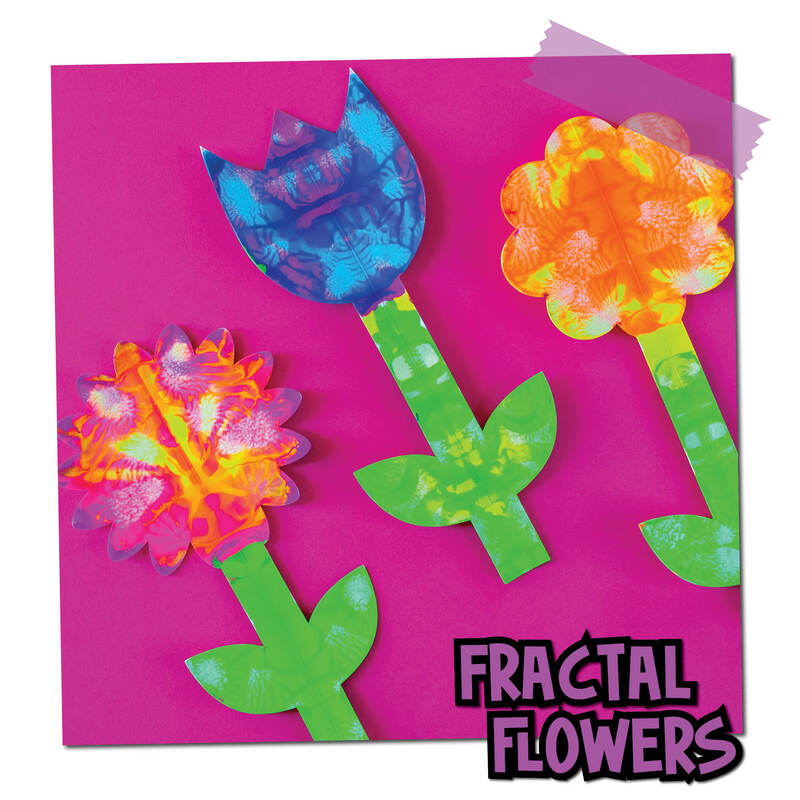 There's nothing like science, tech, engineering, art, and math to ignite curious brains! Have you ever heard "that's boring" when lemonade changes color or they see a cookie icing machine? Art makes STEM better by improving idea inhibition, focusing on the process (where learning happens! ), encouraging innovation, and honing mathematical concepts. STEM jobs are expected to grow by 16% in the US between 2014 & 2024. And right now, science & engineering careers earn more than double the income of the median job in the United States. STEAM is not just the next big trend. STEAM will help our children's generation save our world by asking questions, thinking creatively, problem solving, and being the change for what ails us. STEAM Explorers is the coolest new creative adventure for kids. Check out what you get every month with your membership. You need activities kids can get excited about that inspire their creativity. Like a Chemical Reaction Car, Layers of the Earth Pudding Cups, and Toilet Paper Roll Upcycling. STEAM Explorers has what they (and you!) want. Each month is loaded with real learning activities hidden inside the fun. 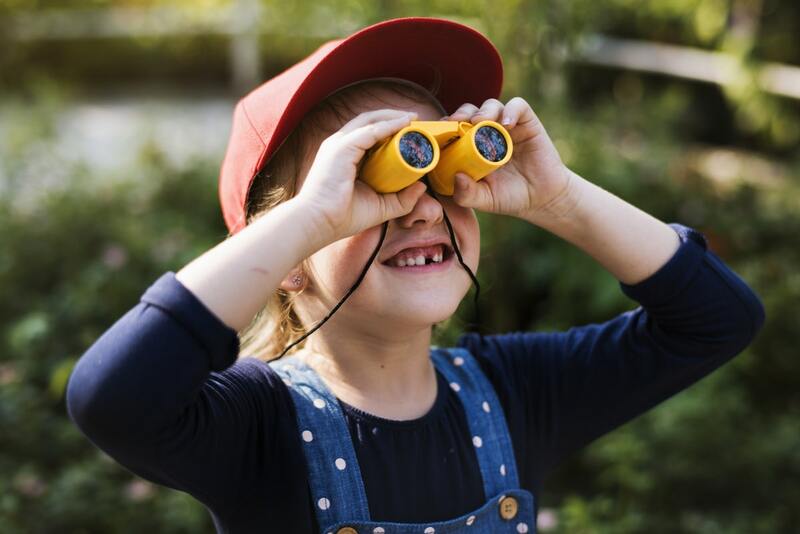 Kids will be inspired by Citizen Science, career inspiration, and knowledge about things they encounter in our world. And it's all written in a way that will keep them reading from cover to cover! STEAM Explorers never gets old because it's different every month! 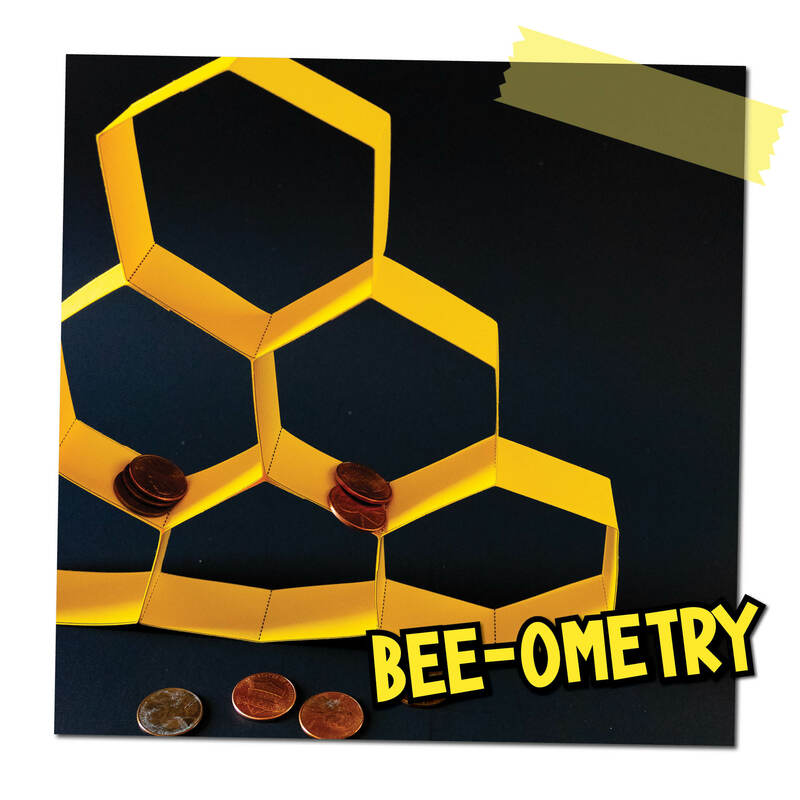 Explore interesting themes like the Earth, animals, space, electronics, and more. Each month is packed with a new digital magazine, new printables, new videos, and more! Become a STEAM Explorer. Save this week only! Save with the coupon TEACHSAVE5. Cancel at any time! No long committments. 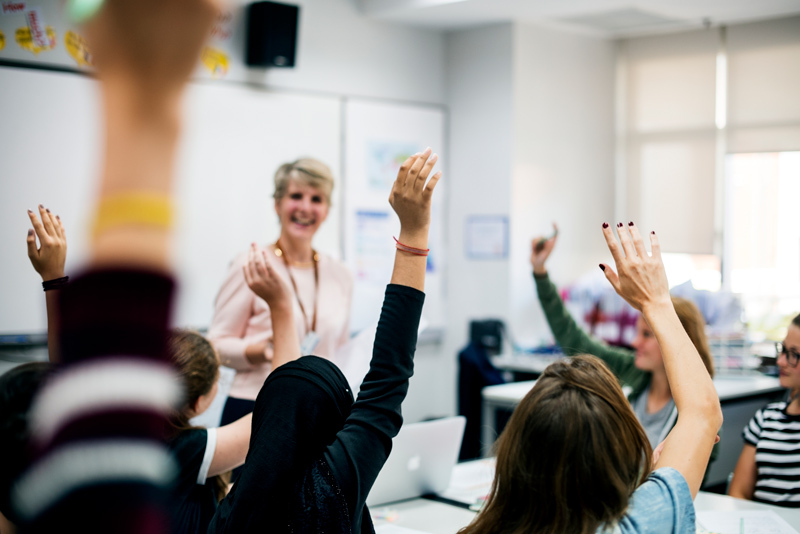 Are you a teacher who needs help with lesson planning? A scout leader tasked with teaching STEM? Museum, library, or community educator? Or maybe you're just short on time! Anyone can use these resources with their elementary aged children. They've been designed to make it easy for you to teach your children, educate them, inspire them, and have fun with them doing STEAM! 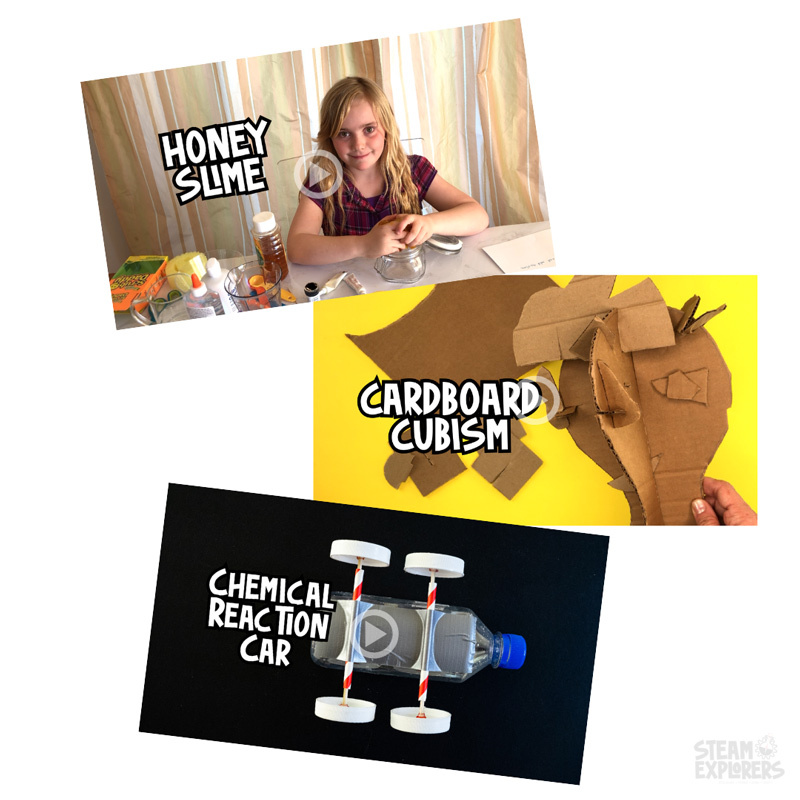 STEAM Explorers projects and activities vary across a wide range of interests and abilities. Children as young as Kindergarten (age 5 or 6) all the way up to Grade 6 (age 12) would find something interesting inside. Younger kids may need some adult supervision while older kids can do most activities on their own. and it has a lot of crafts to do. Our family is very crafty. 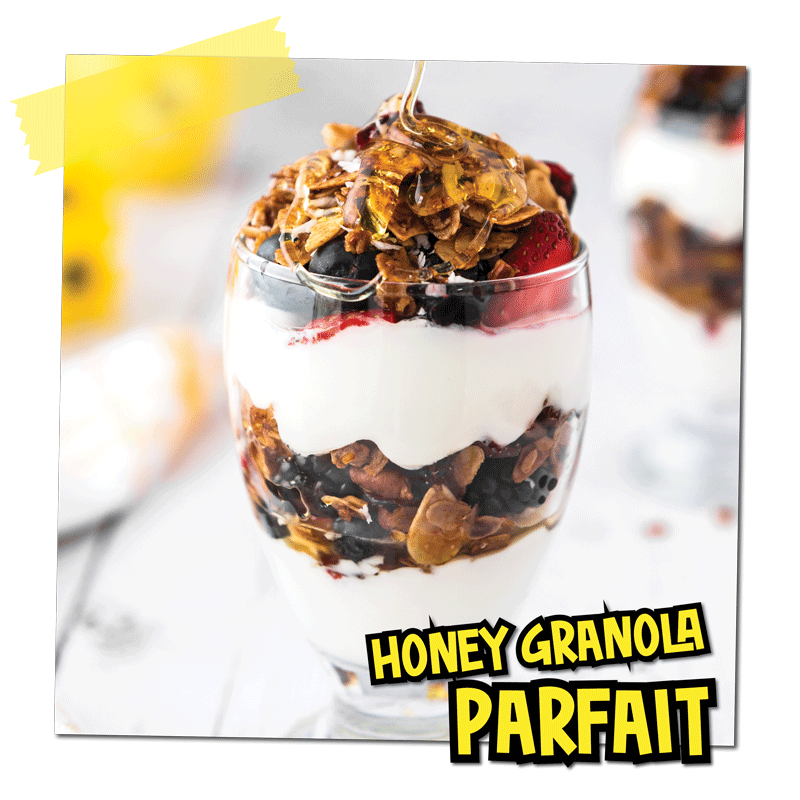 It has different things to learn about but my favorite thing is that it has stuff you can eat that is fun and creative." Learning can be fun. And Fun can be learning! 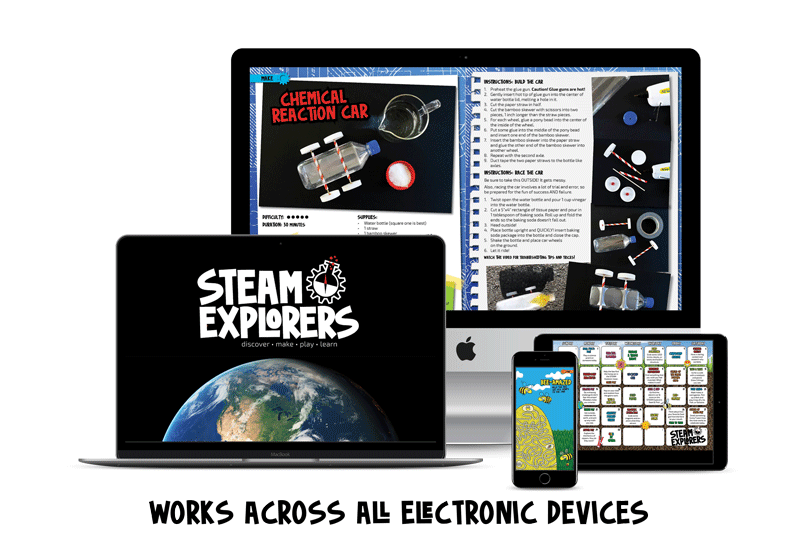 STEAM Explorers is packed with amazing ways for the kids to have fun while they're learning. 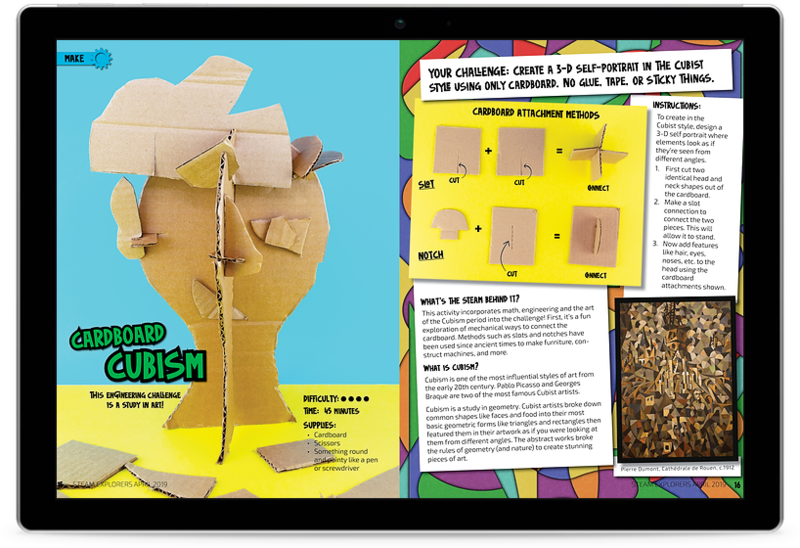 Get exciting projects packed into a full digital magazine ready to hand over to the kids or incorporate into lesson planning. The easy to read format can be printed or flipped through online. Safe, online environment for kids and adults to explore projects, printables, videos, and more. Watch the video to get a sneak peek inside. 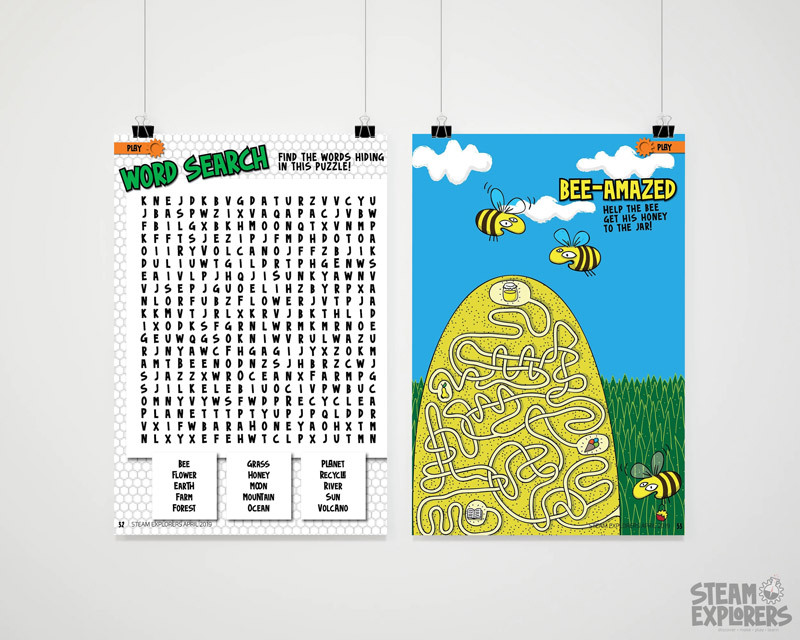 Entertaining and secretly educational printables that the kids will love. Perfect for those times when you just need a few minutes of independent activity. Video tutorials to help make the projects successful and fun. And educational, too! All in a safe delivery space for kids (no YouTube continuous play). We've got bonus resources to make STEAM Explorers worth your investment. 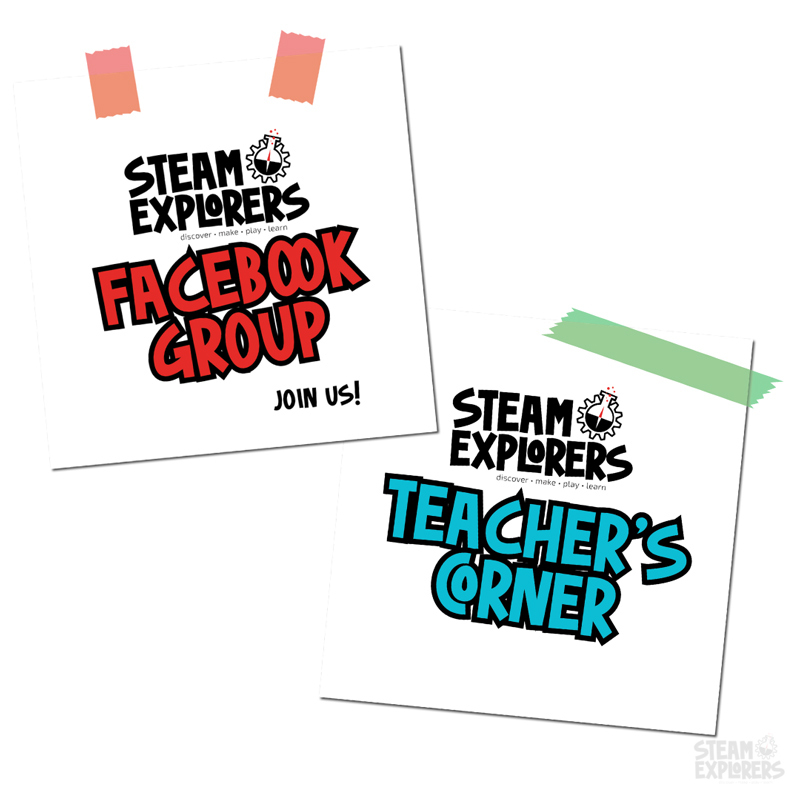 Whether you're a parent, teacher, homeschooler, or grandparent, get the help you need in our STEAM Explorers Facebook group and Teacher's Corner. Want to get a peek inside this month's digital magazine? 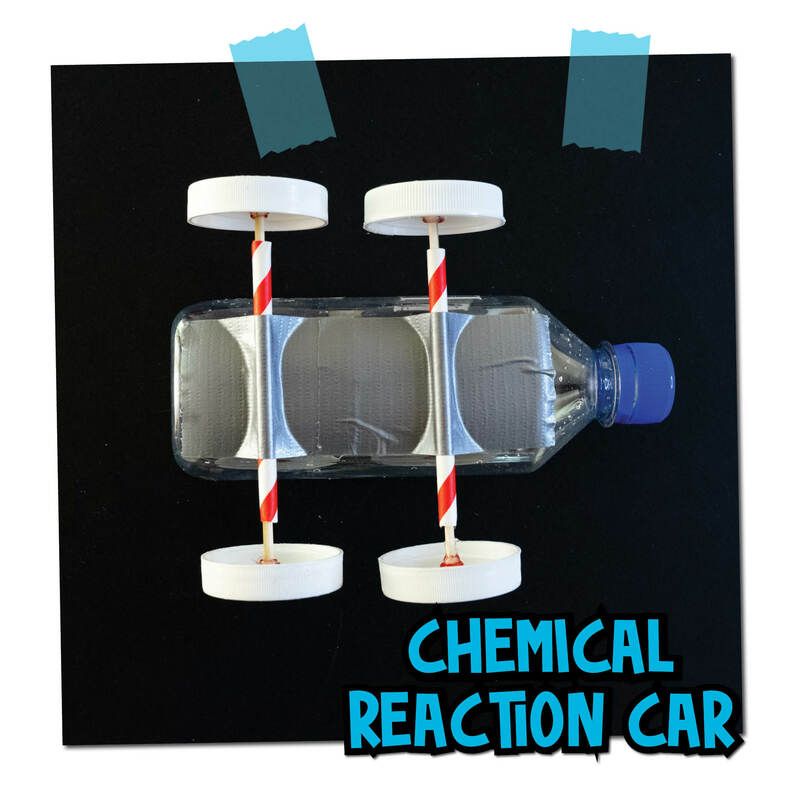 We've included a sample project so you and the kids can get having fun and learning with STEAM right away! You are busy. Really busy. WE GET IT! Your time is better spent WITH your kids! Not spending hours trying to create materials and lessons.... that they won't declare BORING! 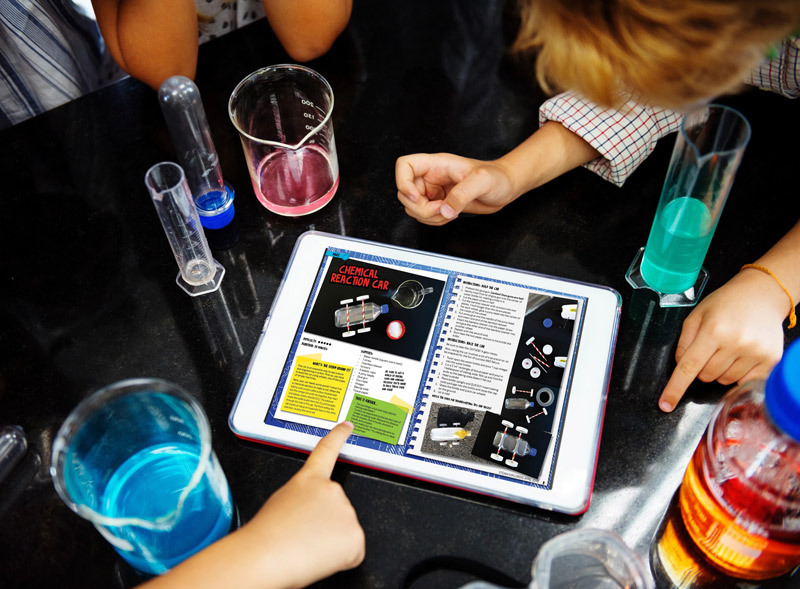 the best-selling series of science, tech, engineering, art, and math activity books for kids. introduce STEAM into their world. Got questions? We've got answers. Simply click the + to expand the answers. 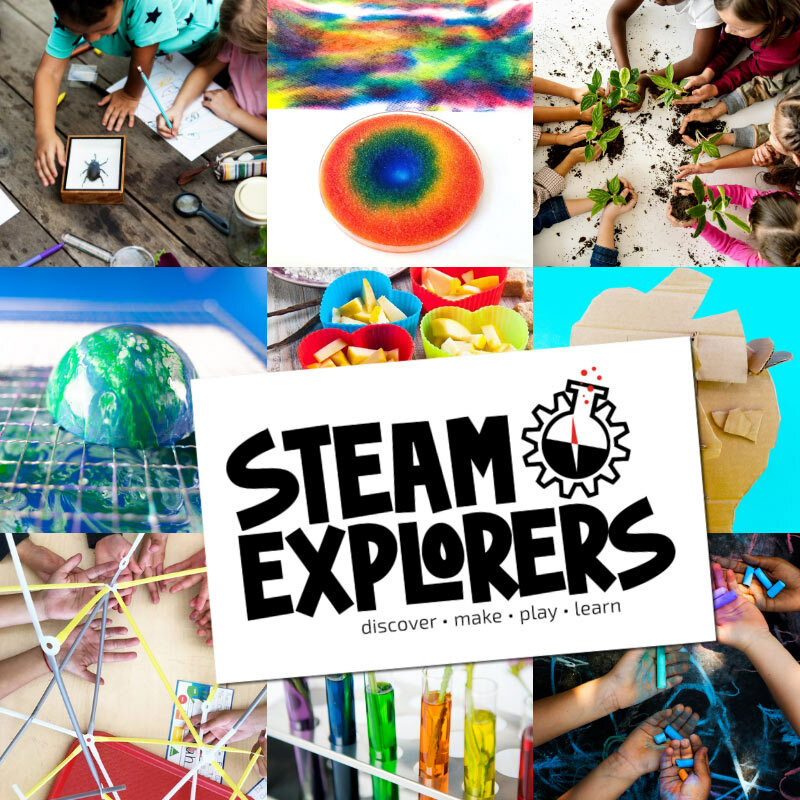 STEAM Explorers is a monthly digital membership filled with STEAM (science, technology, engineering, art, and math) hands-on activities for kids. 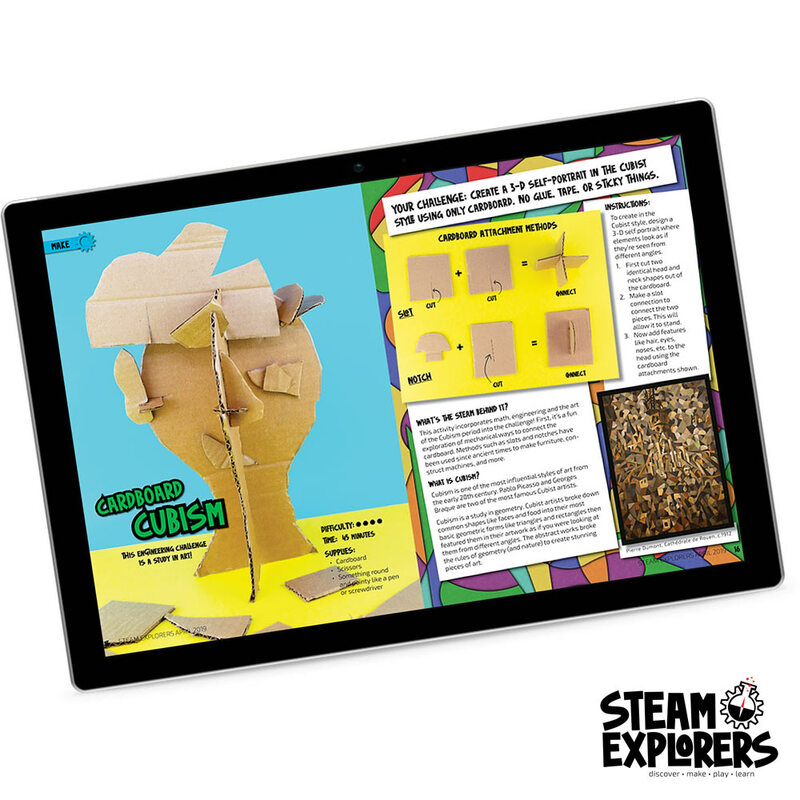 It includes a digital magazine, online project portal, Helpful video tutorials, fun printables, and a STEAM Explorer private Facebook group for the grown-ups. Is this a one-time purchase or a monthly subscription? 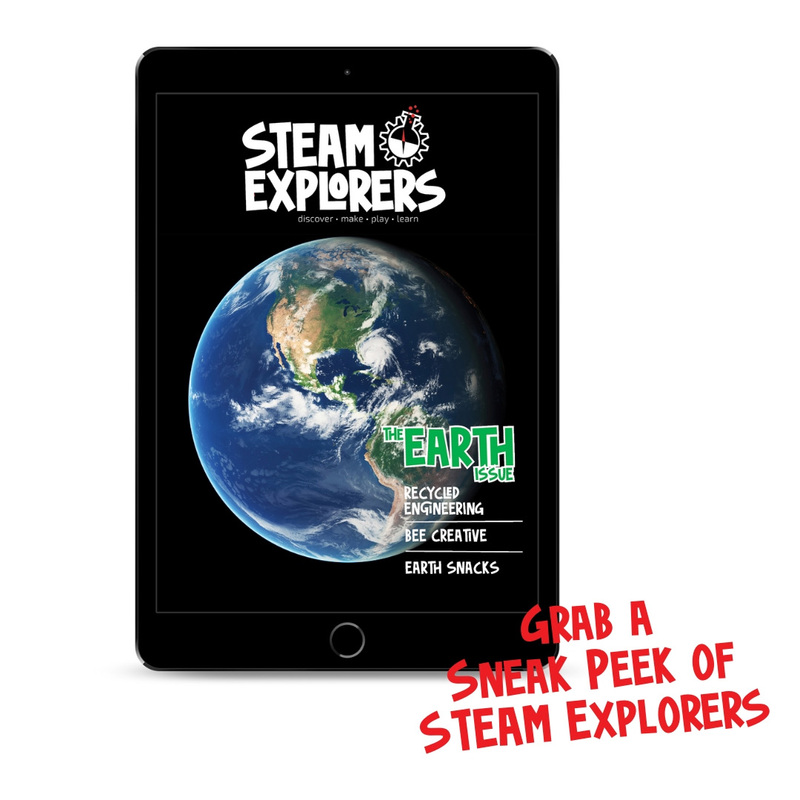 STEAM Explorers is a monthly activity subscription. Every month you will receive a new set of projects and digital resources. You pay only $14.99 a month, a $5 monthly savings for being a founding member. 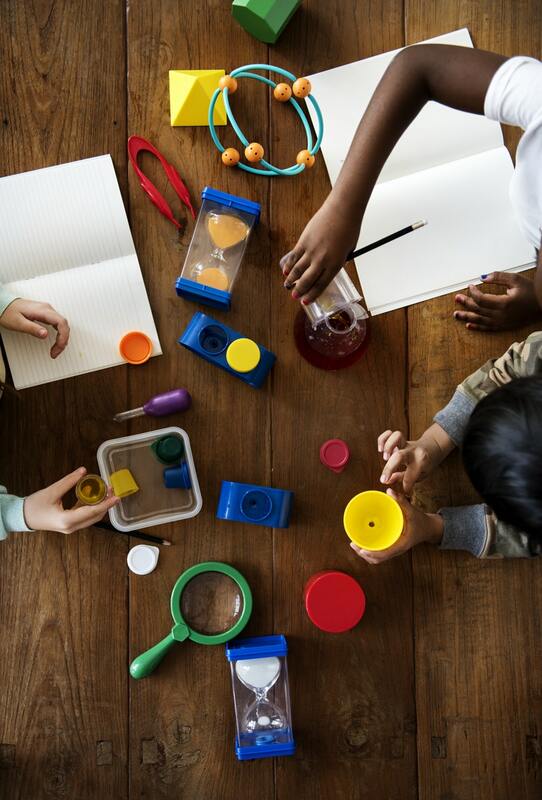 What grades or ages is STEAM Explorers suitable for? The products vary across a wide range of interests and abilities. Children as young as Kindergarten (age 5 or 6) all the way up to Grade 6 (age 12) would find something interesting in STEAM Explorers. Who would benefit from STEAM Explorers? First, kids! STEAM is an amazing and entertaining way to prepare our kids for the future. Anyone interested in providing interesting, fun and integrated activities for elementary students would benefit from STEAM Explorers. That includes parents, homeschoolers, teachers, aides, librarians, camp coordinators, after school club organizers, scout leaders, public program coordinators and more! What format are the resources? All the resources will be delivered in PDF format for you to download and store until you are ready to use them. You can print them or read them on a tablet, mobile device, or computer. The digital magazine can also be read online with an easy to use page flipping app to give you that magazine feel. How do I access STEAM Explorers once I purchase? After you create a STEAM Explorers membership, you will create a login ID and sent to the STEAM Explorers online project portal. There you can download your resources and watch videos. Absolutely! We want you to be happy with STEAM Explorers and think you will love the resources, but if it's not the right fit for your family or classroom, you can cancel at any time. No long term contracts. I'm an educator who doesn't teach during the summer. Can I put my subscription on hold during those months? Yes, we totally understand that you may not need the resources during the summer. Just contact us when you're ready to pause your membership.